We are a nation of dreamers, rather than doers, as more than half (51 per cent) of us above the age of 55 feel it could be unlikely we'll fulfil our bucket lists, according to British Heart Foundation findings. The charity is encouraging everyone to get a head start on their list and take on an amazing overseas challenge to help fund its life-saving research. The BHF's study also showed that nearly half of the age group (48 per pent) has only ticked off a handful of pipedreams so far, leaving the nation short of wanderlust. Between the age of 25 and 55, the average number of aspirations achieved only increases by around two. Over half of respondents (52 per cent) place visiting a country or landmark as their number one aspiration. Despite this, nearly a third (30 per cent) say they have never visited some of the world's wonders such as the Great Wall of China, the Grand Canyon, the Northern Lights and the Great Barrier Reef. Even more surprising, nearly half of Brits over 55 haven't even visited Paris's iconic Eiffel Tower, with financial constraints the main reason why people aren't being bitten by the travel bug (42 per cent). Over half (51 per cent) of Brits aged 55 and above are close to giving up on achieving their checklist of goals. But the BHF is helping people get a head start on their bucket list through its programme of overseas experiences, which will all help fund the charity’s life-saving research into fighting heart disease. 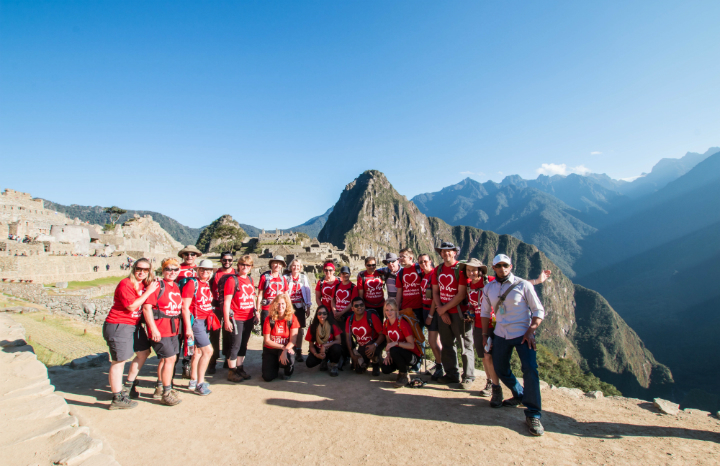 From trekking along the Great Wall of China, to making your way to the magical Machu Picchu, the charity is giving people the chance take on an experience of a lifetime. You can also sightsee on your saddle with an overseas cycle ride, such as the legendary London to Paris Bike Ride, cycling 260 miles along the Champs-Élysées to the Eiffel Tower. Krystyna Grant at the BHF, said: "This year, over 300 people will be taking on our once-in-a-lifetime bucket list trips. And for every mile they cover, they'll be helping raise close to half a million pounds into life-saving heart research, benefitting an estimated seven million people in the UK who suffer from heart and circulatory disease. While deaths have fallen by more than half since the BHF began, there is still a long way to go." You can take on an adventure of a lifetime through either self-funding or by fundraising. To find out more about the programme , visit bhf.org.uk/world or call 0844 847 2788. Take the test: How good is your winter driving? 6 frequently asked heating questions answered!